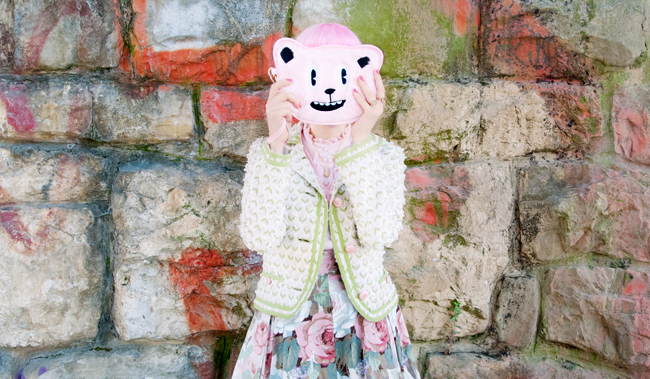 I went for a walk, found new clothes and a bear. Didn't wear blazers for years, but who could resist this Marc Jacobs beauty? 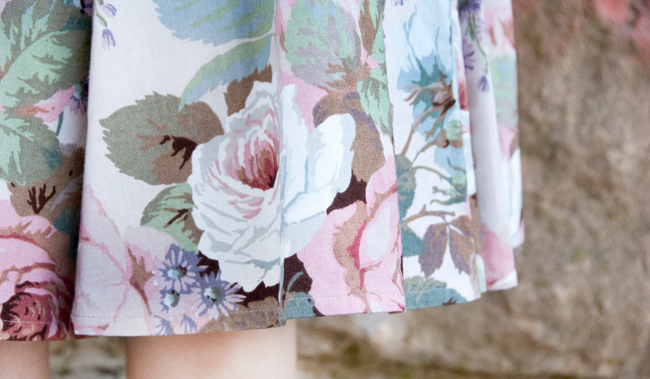 Feeling like dancing with my full skirt. 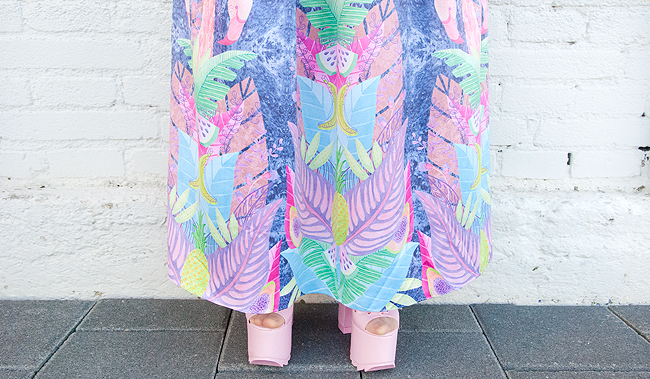 What a dreamy rose print the queen of all shopping queens found. Cheeky posing: Just had to while wearing a look like this. 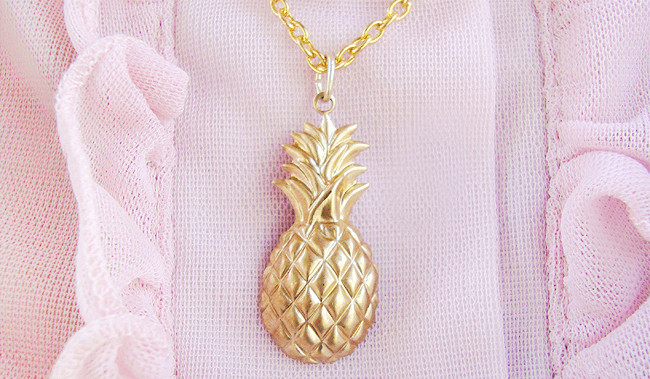 Favourite Fruit: The golden pineapple. 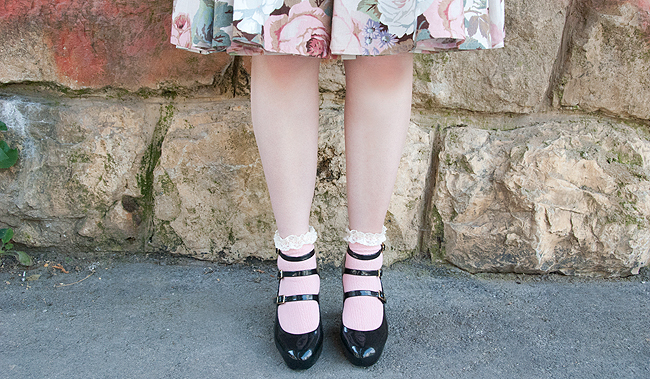 Vivienne Westwood shoes complete every look. My photographer said this picture looked sad, I say this is my dreamy face. 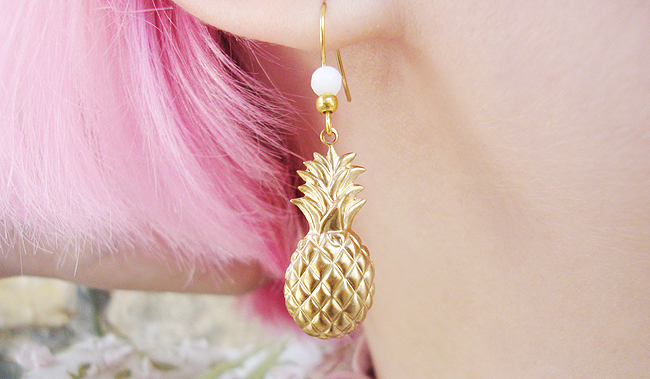 A pineapple comes never alone: This is why I have the necklace to the earrings as well. What are you laughing bear? Another closeup because they are so cute. "Oh my gosh, I'm wearing a perfect look" or whatever I thought when we took this picture. Other girls go for a walk and end up seeing deer, I end up coming home with a bag full of designer clothes. A few weeks ago, I just wanted to walk a little bit hand in hand with my darling and before I knew what was happening I was standing in the Markentussi store – a fabulous vintage store. 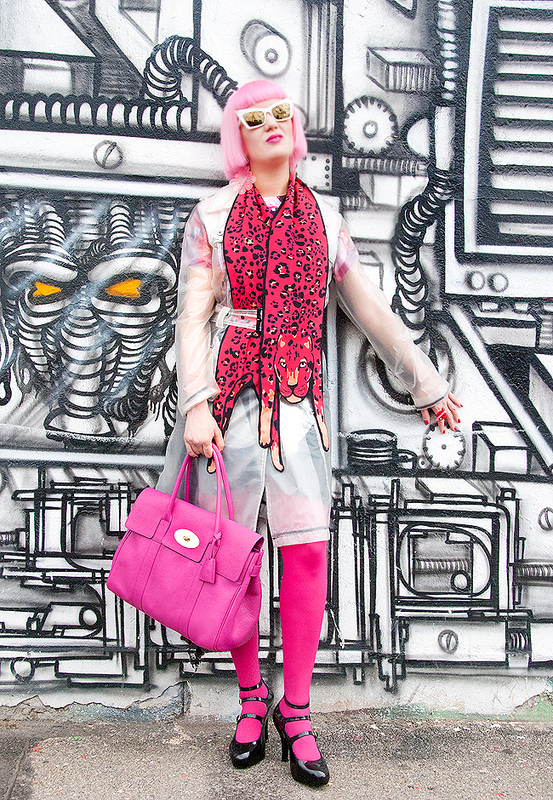 I found myself in their changing room with an armload full of clothes from Alexander McQueen, Marc Jacobs and Moschino. 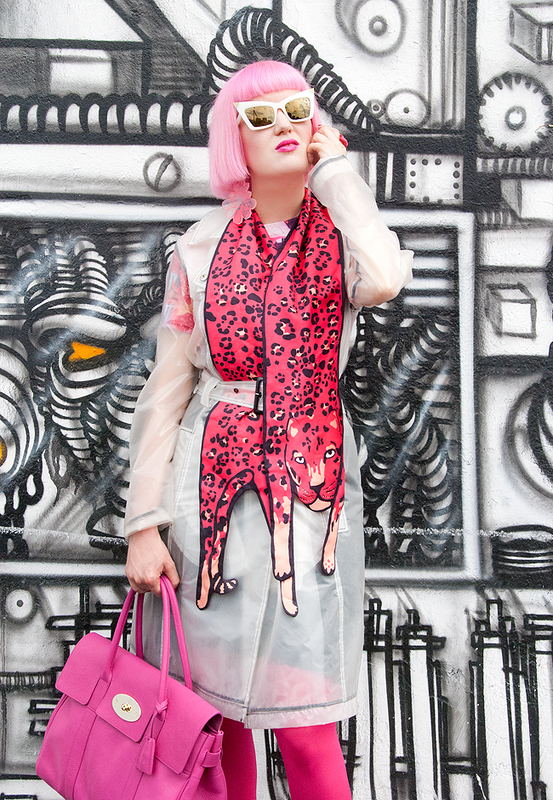 By pure coincidence, this Lena Hoschek skirt was exactly my size. Don't you agree there was no way leaving without it? And to top up my luck: The Marc Jacobs (not Marc by Marc Jacobs) jacket very close by seemed to be made for it. Gosh, I felt like the one and only queen of all shopping queens, getting just two amazing designer pieces in one stroke. I've been collecting look books from Lena Hoschek for years but never owned a single piece of this outstanding Austrian designer. Her designs are obviously 50s inspired, but with a very distinctive twist. Quite a while ago, when I was still a poor student, I tried on a few Lena pieces and dreamt of owning something of those treasures. Do you also end up doing something you haven't planned at all and what do you think about this look? 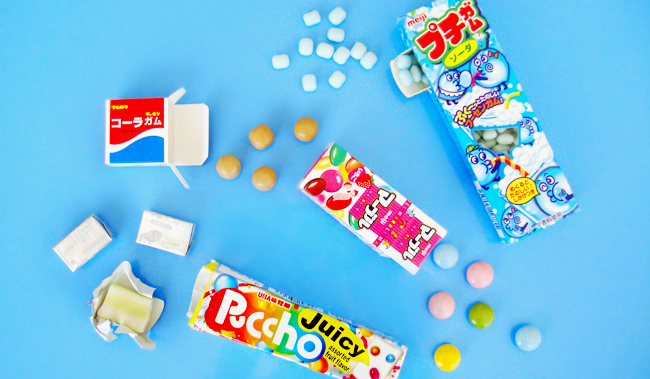 Everything I found in my Japan Candy Box. 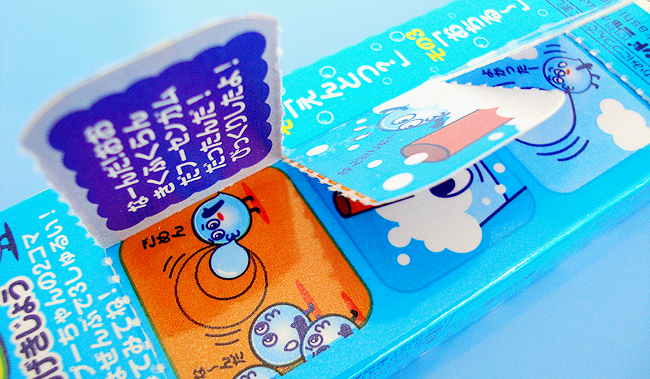 The packaging is to die for with it's kawaii details. Probably the most cheerful parcel I ever got. Discovering unknown goodies is a lot of fun. Truly feeling like in sweet heaven. 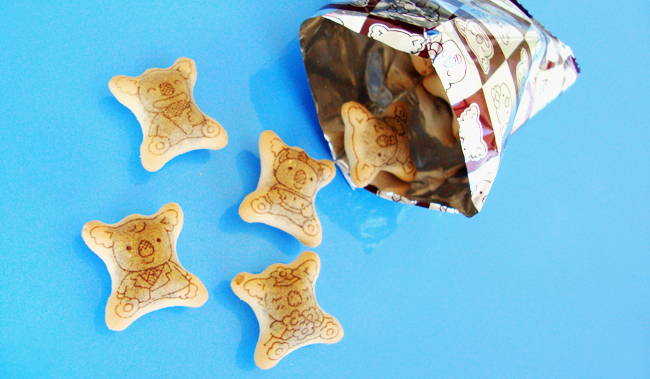 One of my favourites: The chocolate filled koalas. 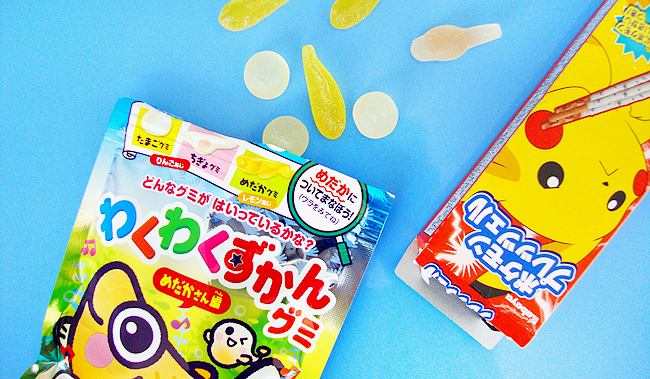 Doesn't taste fishy: Yummy candy fishes. 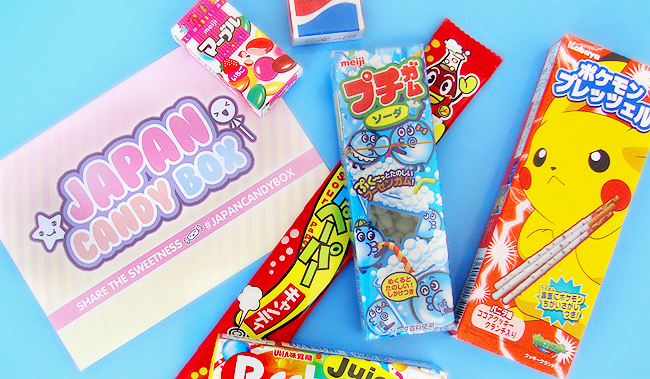 Those among you with a sweet tooth pay attention: Japan Candy Box is the probably sweetest monthly subscription box on the market. 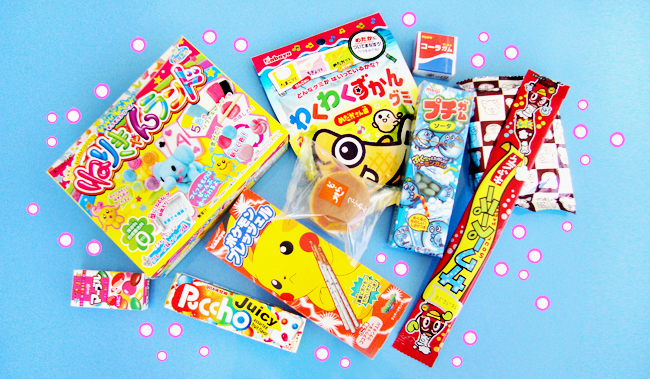 Every month you receive a box filled with eight to ten carefully selected candies, sweets and snacks. From $18.20 you are in to find a mouthwatering parcel in your letterbox. I found ten treats in my box and already tried everything. There is nothing I didn't like, and it's a joy to discover all the unknown things. There is a card with a list of all items included for the ones who want to be on the safe side before putting things into your mouth. The only thing that was missing to make this box divine and not just perfect: It would be awesome if there were a list of ingredients included. As a vegetarian, I am always cautious of sweets containing gelatine, and I would have loved to know if everything is safe for me to eat. My graphic designer heart was very excited about the packaging. 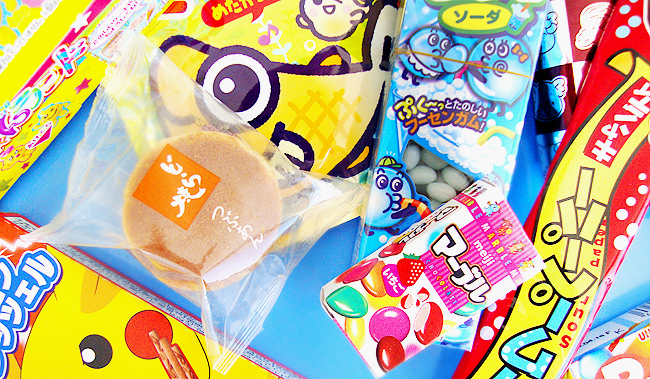 This is how sweets should be: Kawaii, cheerful and made to make your day. I can truly recommend this box and think it's as well a perfect gift idea for your friends. The lucky one getting one will love you forever. And the best: Of course I have to win your love too, and therefore I have next months box to give to one lucky follower. Just enter below, it's open worldwide. Good Luck! Disney girl applying as the first pink-haired princess ever. I already wear ices fit for a queen. A paparazzi caught Princess Sara on her way to her castle. Where is my handsome prince and his white horse? 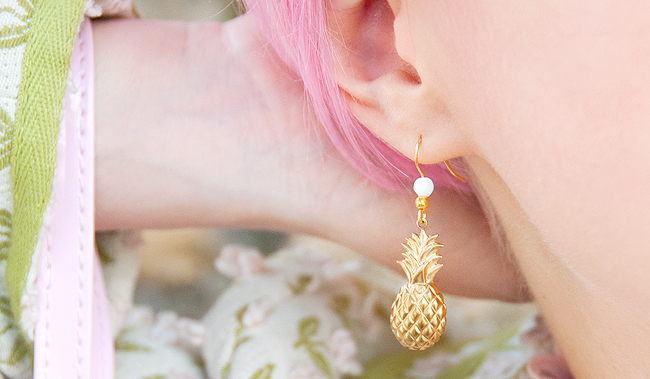 Ruling the tropical kingdom where the golden pineapples grow. 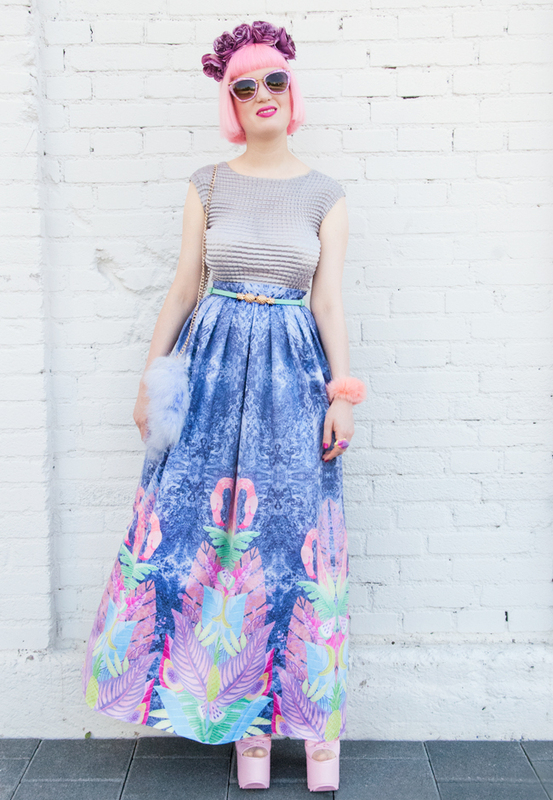 A swinging flamingo skirt made for the dancehall. 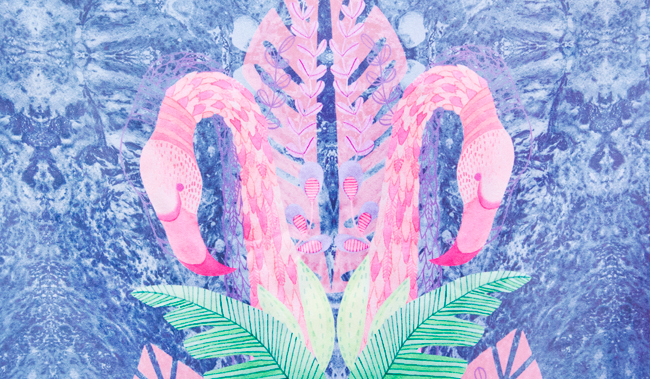 The flamingos accompany me everywhere. Tropical fruits and palm trees are what my kingdom has to offer. Princess ready to conquer the world with pastel power. Every girl dreams of being a princess, of living in a castle, having a room full of pretty dresses and dancing at balls with the handsome prince of her dreams. You did so too, and your dream hasn't come true? Well then, maybe it's time to rethink! Carrying this princess feeling with you all the time hasn't to do with possessing an awful lot of money, but with attitude. Close your eyes and think about what small or bigger dreams you could make come true just in the last few months. One, two, three, four... Oh, you are still counting? Great! Do you realise how far you've come? You must agree it's a reason to be thankful for and proud of yourself. Now the only thing you need for your princess day is just to dress like one. No matter if Belle, Arielle or Cinderella, each princess has her signature look. People very often say that you need to dress for the job you want and not the one you have. I agree and say it's princess time. I chose this fairylike skirt and a flower crown for my princess look today and became the ruler of a tropical flamingo kingdom. 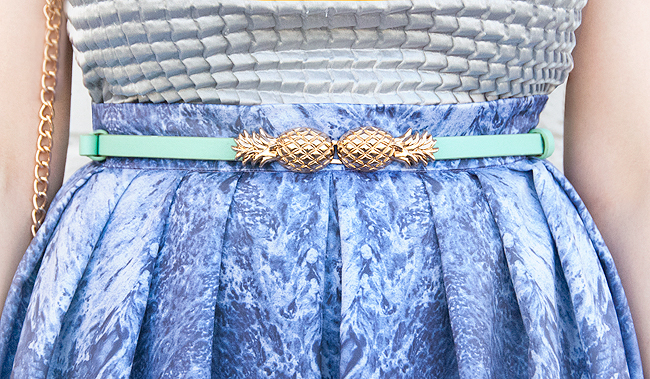 I managed to include two of this summers trends in one look: Tropical prints and metallics. Great isn't it? 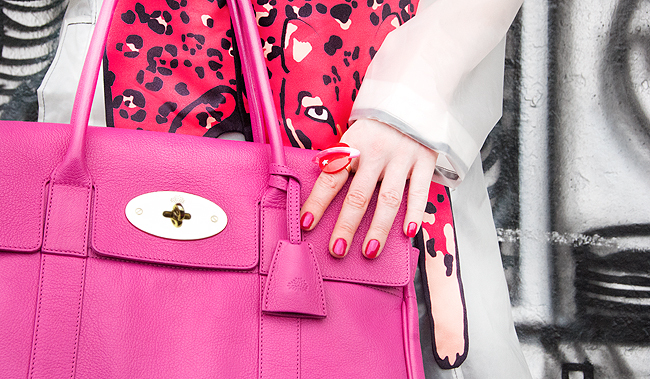 A day with an outfit can turn out nothing else but splendid. Just never let others tell you to grow up, dress serious and stop dreaming! How do you like this look lovelies and what makes you feel like a princess? 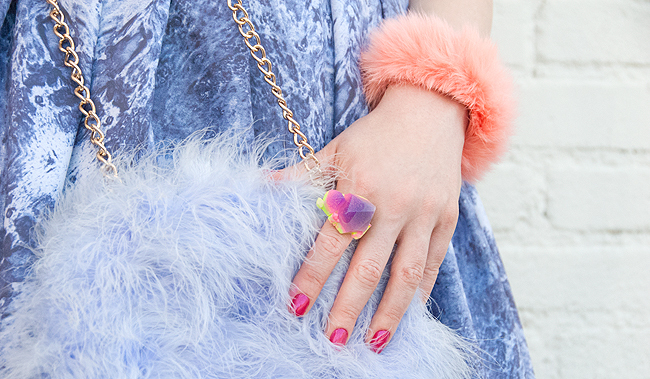 Style doesn't stop at your doorstep, and neither does the love for pastels and pink! Pastel colours have been very popular in home decor in the 80s, this summer they are back. In my opinion, they are here to stay because they are a life philosophy and not just a trend. Pastel pink goes with nearly everything: Combine it with a soft gray, strong neons, other pastel shades or mix it up with metallic elements in gold or copper. If you don't feel like turning your whole home into a pink paradise and overstretch your budget, just a few pink accents will change your home and revive your sweet girlie dreams. 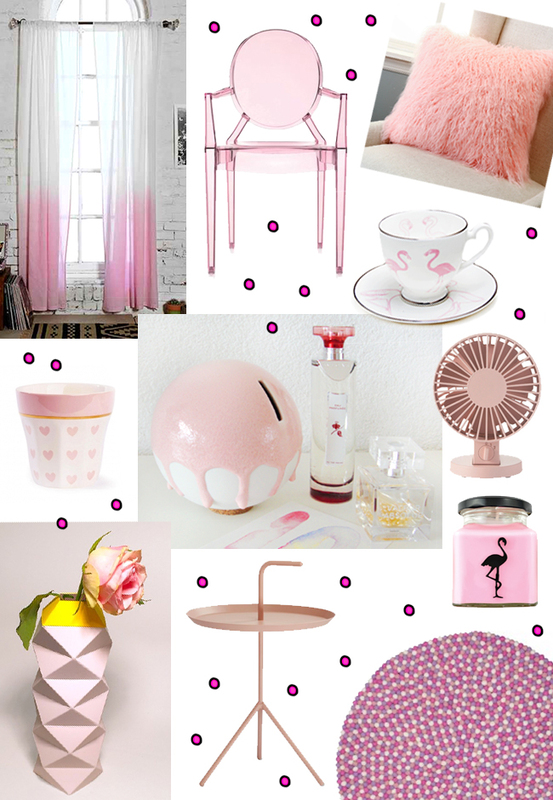 Lovelies, do you like pastels at home and what do you think about my pink pastel inspiration? 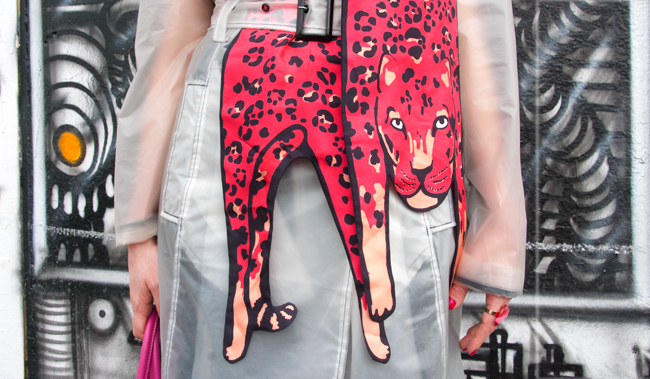 My pink leopard roars when he hears rumours that I look like Katy Perry. 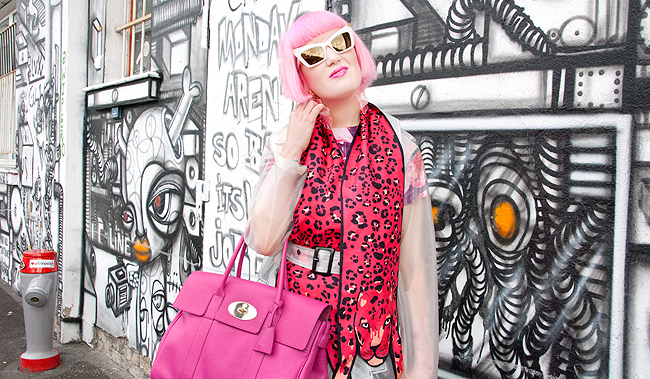 This pink-haired girl is never ever a copy! "I am watching you, so take care what you say." the leopard says. 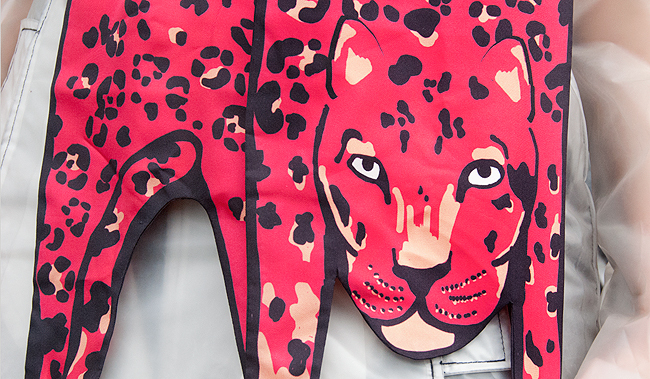 Is this not the prettiest pink leopard you've ever seen? 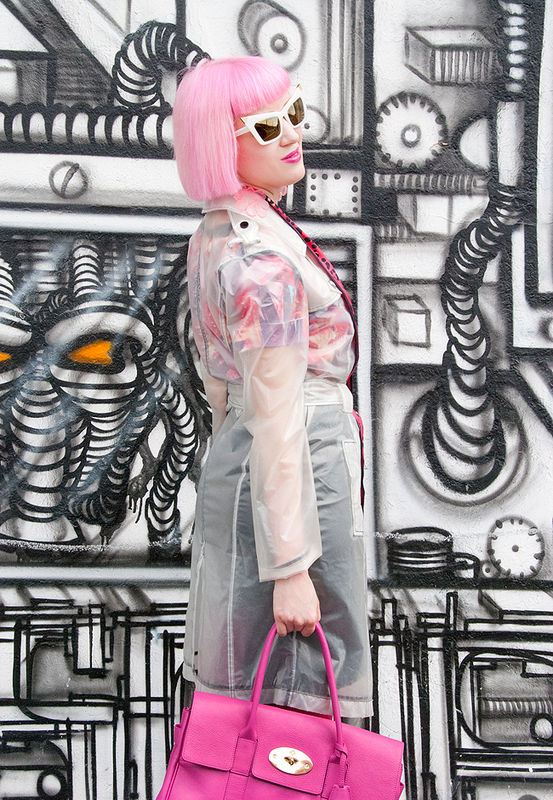 Protected against a summer shower by my transparent raincoat. It reminds of Blade Runner, not Katy, don't you think? 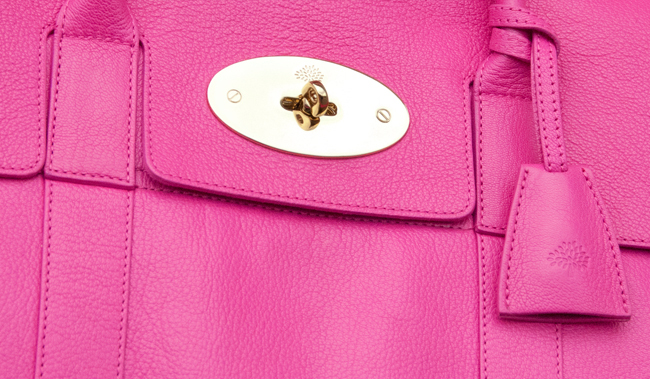 Mulberry Bayswater: My favourite everyday handbag. It's spacious enough for busy girls on the road. What a wild look, isn't it? Do you think Katy would style it like this? Yay, it feels so good to be not haunted by paparazzi! 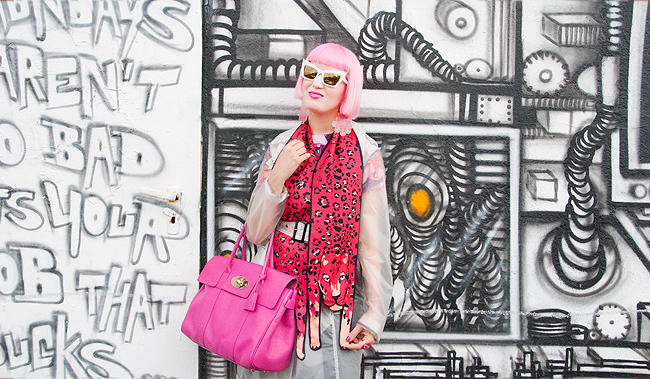 Pink girl in the city: Me is me and I love it! So take care, the leopard will not forgive frailties. "Katy Perry, Katy Perry" are the children on the streets shouting after me. I glower and just want them to stop. Me is me, and I'm not copying anyone and certainly not Miss Perry. She is gorgeous without any doubt, but it's still an insult to characterise a stranger as a copy of the only pop star with a quirky taste they know. To vacate the rumour about me being Katy once and forever from the world, I collected ten (fun) facts that will prove everything. Read, be convinced and have fun! 1. Couldn't find Jeremy Scotts number when I wanted new Moschino goodies. 2. I used to be an acolyte as a child, but I didn't sing (the church goers may thank me). 3. I met Russell Brand at a museum, but he didn't seem to know me. Strange, isn't it? 4. I didn't kiss a girl, not even Whoopi Goldberg I swear. 5. There is no Barbie doll that looks like me yet. What a shame! 6. 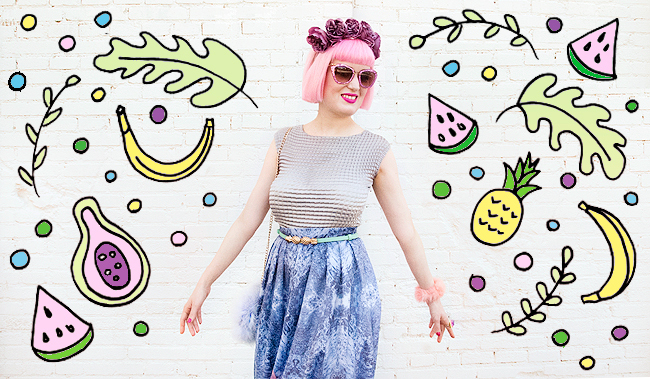 Katy and I share a love for fruity looks. But I bet YOU too! 7. Can't find my peppermint tattoo, I already checked twice. 8. When I asked my mother about her date with Jimi Hendrix, she asked, "Jimi what?" 9. Katy gave up on her pink hair quite soon. I stay true to my candy floss mane as you see. 10. If I were Katy Perry, I didn't have to google to get this post done, don't you think? So what do you say now and how do you like this look? 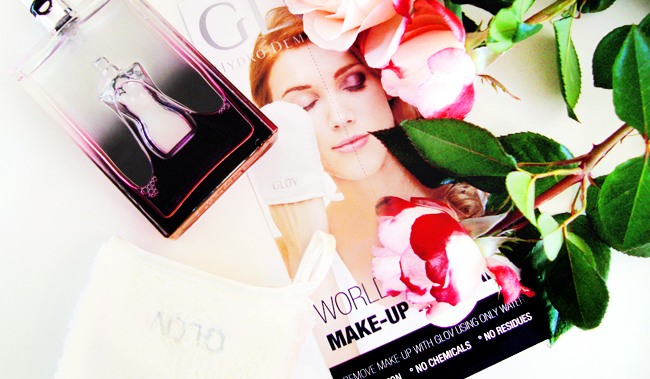 Glov – A glove that removes makeup in an ecological way, using only water. Fibres 100 times thinner than a human hair remove make-up with micro precision. 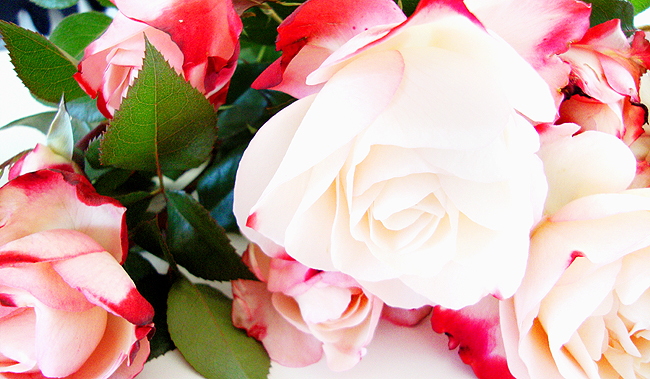 Skin as smooth as rose petals? Glov promises to help! 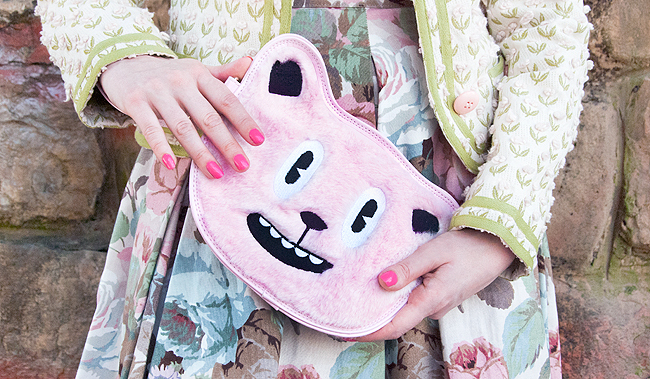 The two sizes Comfort (rectangular) and On-The-Go (small). My least favourite part of the day is to get ready for bed. I must look like a grumpy panda while I desperately try to get rid of my make-up. It's not my intention to insult pandas, but their look just doesn't suit me at all, and I ask myself if there is no gentler way to get a fresh and clean face. Then Glov came and promised help, thanks to its advanced micro-technology that works without chemicals and residues. 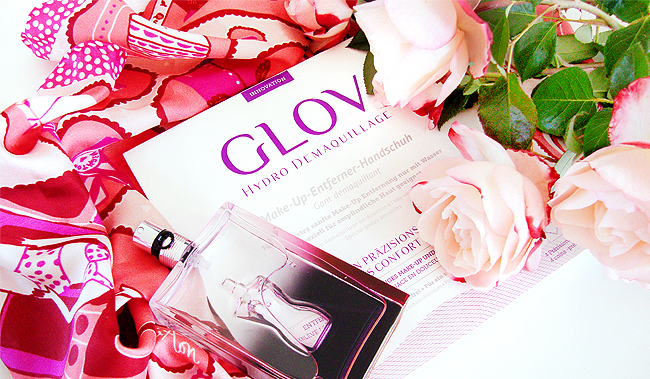 Glov is a patented cosmetic accessory that claims to be the world's best make-up removal. Its special micro fibre is perfect for any skin and works as a magnet on make-up. No matter how strong your mascara or lipstick is, glove removes it while it helps to maintain the natural hydrolipidic barrier of your skin. All you need is to apply water to your Glov and remove your make-up with a circular motion. After use, you can wash Glov with soap and let it dry. Glov is reusable for up to three months. 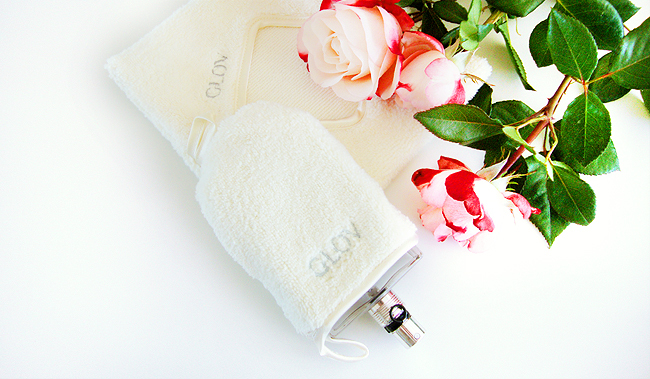 Glov comes in two versions: Comfort is perfect for home and can be used as a home spa accessory. On-the-Go takes up almost no space in your luggage and is made to be your new travel companion. "This is just too good to work" was my first thought when I heard about Glov. Could the times of burning eye makeup removers be over now and forever? When I opened the packaging, I was surprised how soft the glove is. I applied warm water to it for a reflexing effect and instantly had to think of those lovely smelling towels you get at Asian restaurants after eating. The makeup disappeared quite fast. Just my mascara tried to resist because I don't like to rub around my eyes. But with a little bit of patience this was solved. Afterwards, my skin felt matte, clean and very smooth. The experience of having just nothing on the skin was (and still is) amazing and very new to me. I just wanted more. The only thing I disliked is the procedure of washing out the Glov with soap. It takes a lot of soap and patience, and it's almost impossible to keep it perfectly white. I am testing Glov for a week now and day after day I get more fond of it. My skin feels very smooth and either if I imagine or not, I have the feeling that especially the area around my eyes feels less stressed then when I use a makeup remover. I'll definitely keep using this product!